Now you can master Bach’s most beautiful prelude—even if you’ve never sat down at a piano before! 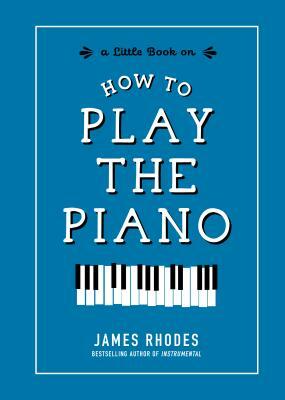 Do you have a piano (or keyboard) and forty-five spare minutes every day? Then spend the next six weeks with acclaimed concert pianist James Rhodes. By the end, you’ll be able to perform Bach’s Prelude No. 1 in C major—no prior musical experience required! Before you know it, not only will you have learned how to play one of Bach’s most beloved masterpieces—you also will have unleashed your creativity, exercising your mind (and fingers) and accomplishing something you never thought possible. Bravo! James Rhodes was born in London in 1975. A keen piano player, at eighteen he was offered a scholarship at the Guildhall School of Music and Drama, but went to Edinburgh University instead. James stopped playing the piano entirely and dropped out after a year. He ended up working in the City of London for five years. After a devastating mental breakdown that led him to be institutionalized, he took the piano up again. He is now a professional and applauded concert pianist, writer, and TV and radio presenter. His memoir, Instrumental, was published to great critical acclaim and became an international bestseller. Visit him at jamesrhodes.tv.